One important thing to note before you start packing is whether you are going to get porters to carry your extra baggage. I highly recommend this, as the trail is hard enough without the extra weight on your back. I ended up getting a porter to carry my big bag with all my sleeping clothes and extra layers. This freed me up to only carry a small daypack with my water, some snacks, and an extra sweatshirt. Most people in our group ended up getting a porter for day 2 after struggling through the first day with their heavy bags. Also, if you are traveling around to other places in Peru after the hike, most hotels/hostels in Cusco will let you store your luggage until you get back. This let us back a hiking bag for the hike and a suitcase full of other clothes for traveling around afterward. We left our suitcase at the hotel and only brought a small day pack and bigger hiking bag for the hike. My daily outfit was a pair of workout leggings, a sports bra, workout t-shirt, hiking socks, my warm fleece and a raincoat shell. The morning would always start out cold, but as soon as we got going I would usually shed my fleece and stuff it in my day pack.The nights got very cold and I was so happy I had brought a thicker pair of hiking socks. I recommend bringing spare clothes to sleep in, the last thing I wanted to do was stay in the clothes I had been sweating in all day. 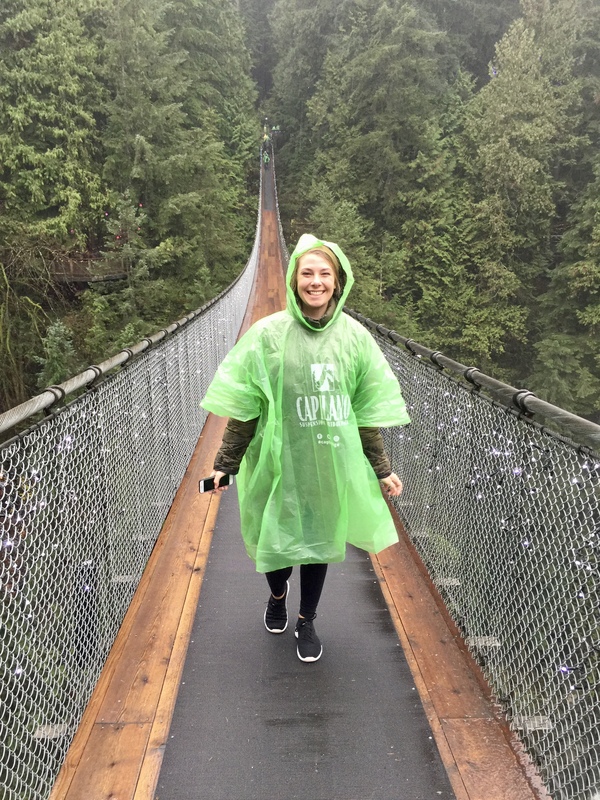 My raincoat turned out to be the best thing I brought because it was light enough to wear even when it was warm. It also had long sleeves so it kept the bugs off me. I do wish I brought 2 more pairs of leggings and a couple extra sports bras. I was concerned with how heavy my bag was, since the porters can only carry so much. But it turned out when we got there they just let you pay extra if your bag was over the weight limit. I kept everything above, plus any layers I took off throughout the day in my day pack for easy access. Something I wish I hadn’t brought was my 2 liter water bottle. 2 liters is a bit aggressive to carry and it was very awkward to hold. I ended up ditching it in my bag that the porters took and using a smaller water bottle instead. There are plenty of water stops along the way, so there is no need to carry that much water with you at once. A 1 liter water bottle is more than enough. I brought protein bars for the hike but they feed you three meals every day along with a couple snacks. I only ended up eating 1 or 2 of the bars I brought. They came in more handy when we were traveling around after the hike than they did during the actual hike. I have to admit I did not like the idea of going 4 days without being able to shower. There actually did end up being showers at some of the campsites that you stop at. However, they are not the most sanitary of showers and the hot water was only available at the first campsite and ran out after the first shower. I decided showering wasn’t worth the extra effort after an entire day of hiking. I ended up wiping down with some body and face wipes every night and throwing a little dry shampoo in my hair every morning. My hair was in a hat almost the entire time, so it didn’t matter too much. This worked perfectly fine for me, you will feel a little grungy no matter what you do. But everyone is in the same boat. Overall, it was an amazing experience and I am so glad we got the chance to go on a trip like this! 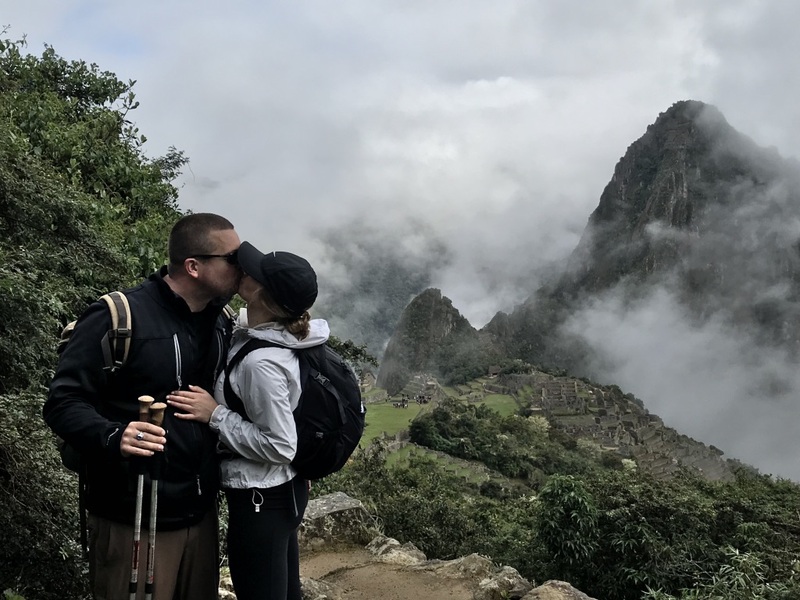 For a day by day recount of our experience, check out my post, Hiking Machu Picchu: 4 Days on the Inca Trail.